Due to the situation, that many companies transform their systems and processes to S/4 HANA testing will be an included part of that and is important. 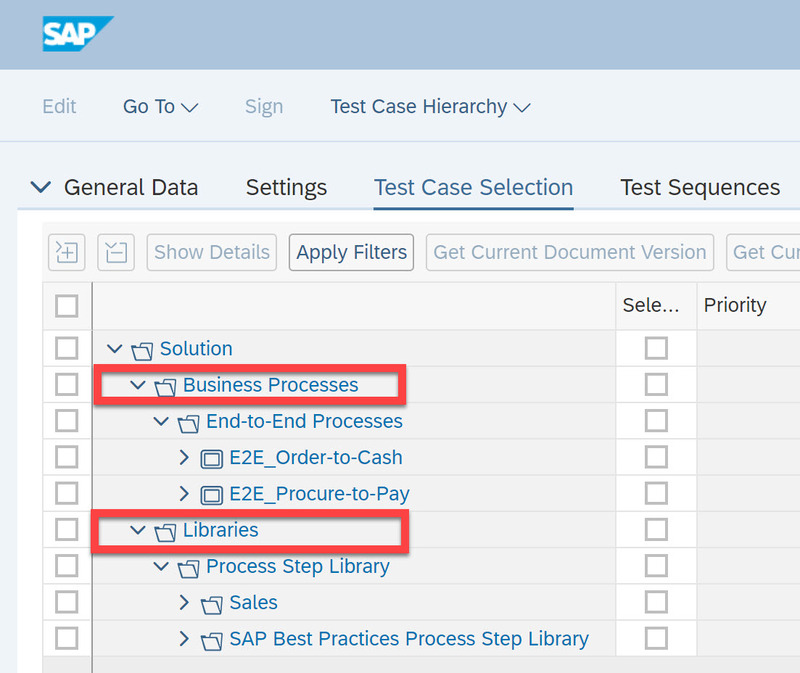 To reflect this situation SAP has developed a new Test-Suite inside SAP Solution Manager 7.2 which brings a lot of functionalities which are designed specially for the S/4 transformation. Yes – it’s build on SAP Fiori! 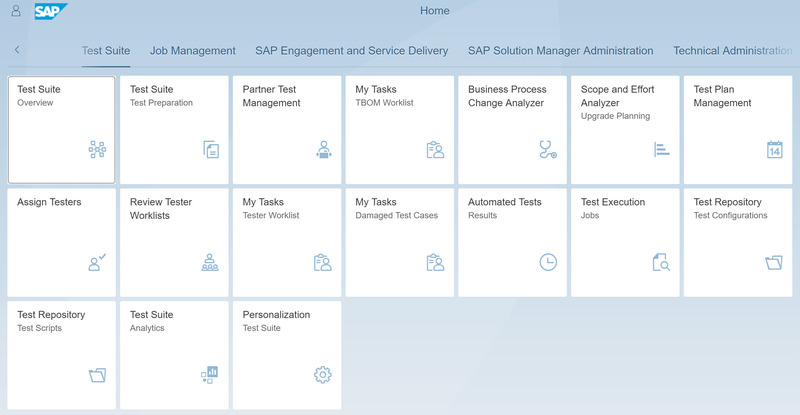 With SAP Solution Manager 7.2 you have one central navigation by using the Fiori launchpad. The coresponding role Test Suite includes all Fiori apps which are available for the Test-Suite. For S/4 HANA transformation projects this will bring the benefit for the endusers (testers) that they work with the same unified user interface. This will improve the user experience in the system under test as well as in Solution Manager. Because SAP Fiori is running on any web browser you can use any mobile devices with a web browser to access the Test-Suite and execute test cases or report defects. This will brings freedom for testers. And it is a state of the art work environment in the age of digital transformation. 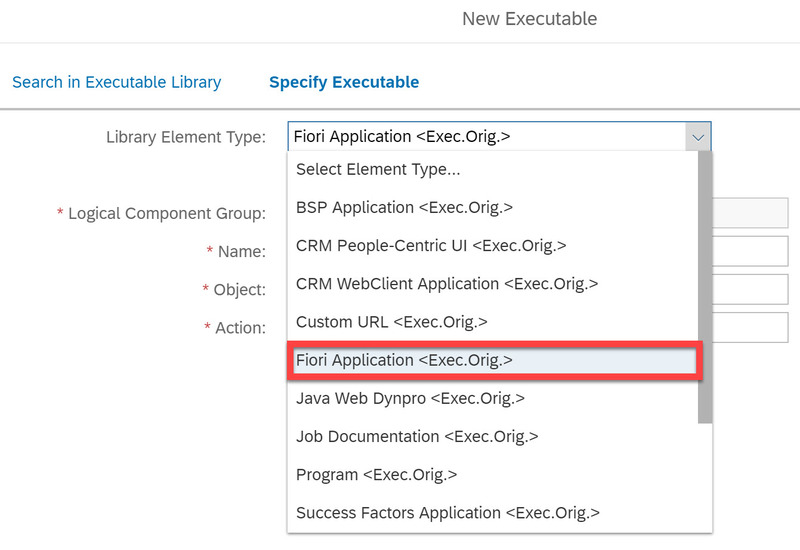 Now it is possible to create Fiori executable types and assign them to test cases. Testers can jump into the system under test and use the relevant Fiori app for the test execution. There is also one executable type for SAP Success Factors. Thanks to the new concept of the libraries, it is possible to make test cases re-usable. Generic test cases should be stored in the process step library and are therefore available again when reusing this process step in the process structure. Specific test cases which belongs to only one process or process step can be stored directly at the level of the process structure. They are not included in the process step library and are not re-usable. In the test case selection inside a test plan you have the choice to select test cases either from the process step library or the process structure. This will brings flexibility to select these test cases which best fits for the relevant test scope. Test first and test early is important. To enable an early test phase you can create a test plan only with executables and no test cases. This could help, if the test cases are still in preparation and needs time to finalize them. Also on level of the executables it is possible to report a status of the execution line “test passed” or “test failed”. With that the test manager still have control of which executables have already passed the test and which are still open. Also you can report defects. This are just a few things why the new Test-Suite in SAP Solution Manager 7.2 is great for S/4 HANA. A smooth integration between the Test-Suite and the systems under test brings more functionalities and also comfort for testers. Nice and very helpful blog. I have one question here with regards to Licensing Cost of SAP Solution Manager 7.2. In which cloud technology i.e. SAP S/4 HANA Public Cloud or Private Cloud there is no licensing cost is involved for SAP Solution Manager 7.2? If you can provide me any specific link or document about this then it’s really helpful. just for the records: Please see https://blogs.sap.com/2019/01/27/sap-is-making-it-easier-for-you-to-leverage-focused-build-and-focused-insights-for-sap-solution-manager-in-2020/ for updated license policy. Thanks for sharing 😉 I’m aware about this new policy for FB. Hendrik is a friend of mine, so I read his post the moment he published it. We have been using Test Suite 7.2 on netweaver and are looking to move to Hana. All our test scripts/ test cases will be portable with no impact to their functionality from my understanding. Is this correct?